As a developer of Java enterprise applications, you can choose among several data access frameworks when working with relational databases. But what do you turn to when working with newer technologies such as NoSQL databases and Hadoop? 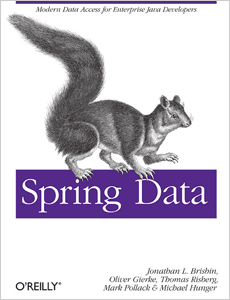 This book shows you how Spring’s data access framework can help you connect to either non-relational or relational databases, or a combination of the two. You’ll learn how Spring Data’s familiar and consistent programming model greatly reduces the learning curve for creating applications with newer data access technologies. And you’ll discover how to use Spring Data’s improved JPA and JDBC support to increase your productivity when writing RDBMS-based data access layers. Relational database technologies continue to be predominant in the enterprise, but they’re no longer considered a “one size fits all” solution. This book shows you how to increase your options.